Amid America's tense culture wars, Haidt (The Happiness Hypothesis), a psychology professor at the University of Virginia, has produced this thought-provoking investigation into the innate morality of the human mind. 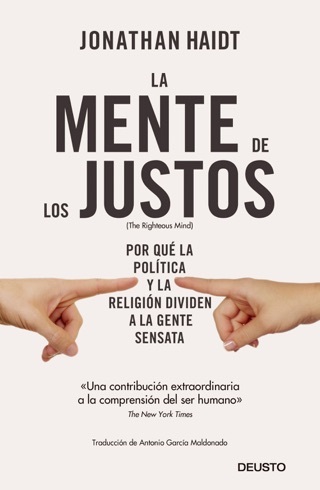 Dismissing the notion that the human mind is fundamentally rational, Haidt briskly guides the reader through decades of psychology research in order to demonstrate that emotion and intuition determine our judgments, while reasoning is created only later to justify these judgments ( la Hume). From there, Haidt dispels the classic notion that morality is based upon concepts of harm or fairness and outlines the variety of moral categories before entering a discussion of how our "righteous minds" "Bind and Blind" us in politics, religion, and nationalism. But Haidt is at his best when using his comprehensive knowledge of moral psychology to explain both sides of American politics with an admirable evenhandedness and sympathy. 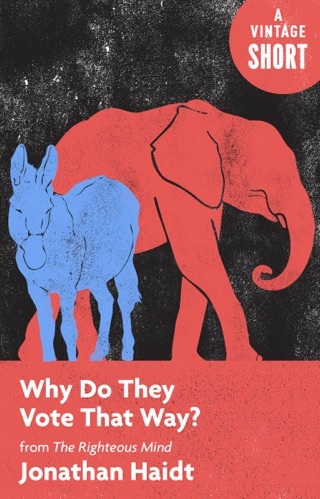 In his two most insightful chapters, Haidt explains why conservatives have a wider moral foundation and thus, an inherent advantage in politics, and later outlines the necessities of both liberal and conservative moral systems, arguing that the two provide necessary counterbalances to one another. 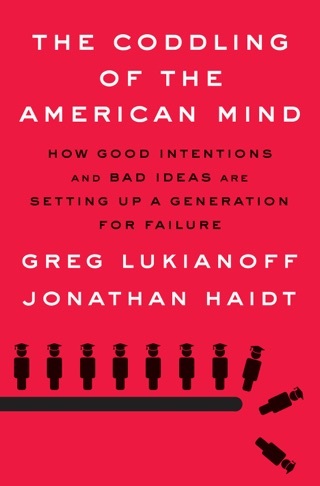 Blending lucid explanations of landmark studies in psychology and sociology with light personal anecdotes, Haidt has produced an imminently readable book about the complexities of moral psychology and the human fixation with righteousness. Illus. This book is one of the most insightful political books in recent times. 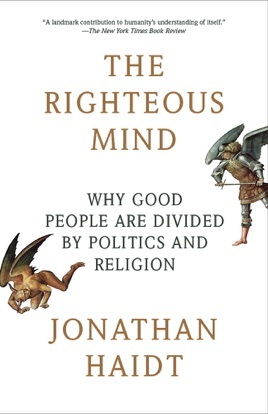 Rather than being a polemic against one side of the political aisle, Jonathan Haidt takes insights from evolutionary biology, moral philosophy, and social science research and crafts together a fascinating exploration of why people have the political and religious beliefs that they do. Haidt argues that while we would like to think that our responses to moral questions are controlled by reason, our innate instincts play a much larger role. 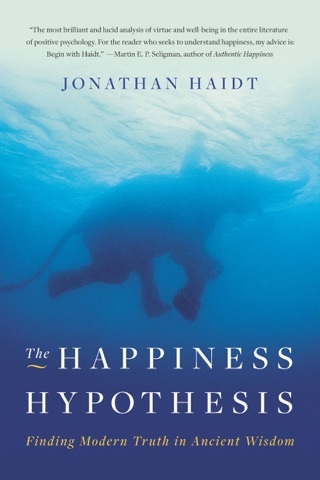 Haidt uses the metaphor of reason being a very small rider on the very large elephant of innate moral judgments - and it's the elephant that more moves the rider more than the other way around. He then moves into a discussion of a six-axis system of moral reasoning, based not just on Western values, but universal moral principles. Haidt weaves together Western ethics from Bentham, Kant and Mill with a deeper appreciation for other moral values not always present in conventional Western moral reasoning, such as respect for authority and sanctity. What he finds is that there's a much broader universe of moral principals than just the ones that Western minds commonly think of. The most controversial part of this book is when Haidt applies his research to modern politics. While Haidt self-identifies as a liberal, he has some rather pointed criticisms of modern liberalism. 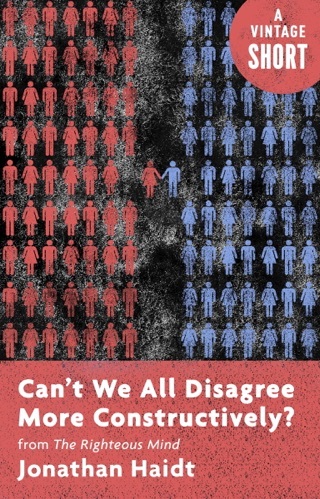 But don't confuse this book for yet another political polemic - Haidt's arguments aren't about what side is right or wrong, but recoginizing that different political factions have very different considerations in their moral reasoning. Liberals strongly identify with two moral axes and very little with the other four - while conservatives identify equally with all six. Despite being a liberal himself, Haidt finds that conservatives have a much easier time understanding liberals than the other way around. Haidt's argument is extremely well-constructed, and his prose is clear. Liberals may have a tough time swallowing his political argument, but Haidt sets up his principles so clearly and lays out his intellectual groundwork in advance. He clearly knows he's making a tough sell, but by the end of the book the reader has a better sense of what motivates both sides of the political aisle. That's why this book is so important. In a time when the partisan divide seems an unbridgeable gap and political polemics fill the bookshelves, there's never been a better time for a book designed to try and understand what both sides have in common. This book isn't designed to reinforce one's political beliefs, it's about getting to know how each side thinks and why. If ever there were a time for such a book, it's now. The only truth to be found in this book belongs to Mark Twain, “to a man with a hammer, everything looks like a nail." No science here folks just speculation and propaganda. Why Do They Vote That Way?